August | 2011 | Adventuring Towards . . .
No mention of dancing, cooking, overnight trains, Chinese hospitals, or QQ. I saw this poem on another blog a little while ago and was struck by its truth. I guess that’s kind of what this blog is for. I fleshed out those lines with 500 pages or so of writing and pictures – landscapes, instead of addresses. After more than a year, I have finally realized my dream of publishing my journal as a book: Adventuring Towards . . . Okay, “published” might be a bit too glamorous of a word, and “printed” might be more fitting for the circumstance, but whatever. My journal is now a book! And you can now own it, in all of its 440-page glory. In addition to the many hours I spent writing my blog during the year I spent in China, it took me probably 10-12 hours of editing to get it down to 440 pages (the largest book that I could get printed) and looking nice. Another few hours were required to make the cover, and then a week of waiting for the printer (Lulu.com) to send it to me. It arrived yesterday, and I am very pleased! So now, with that confidence, I’m going to make it available for purchase. My original intent was to print it in full color, but the prohibitive cost of that option was what kept the book from getting printed right away last summer. This summer, I decided to do it anyway, even though the full-color book costs $103. On a whim, I decided to see how much a black-and-white version would cost, and was pleasantly surprised to find that it was only $26! That’s what we ordered for my parents, and I can tell you that it looks great (although obviously the pictures are not as . . . well, colorful). The black-and-white book can be purchased here. And because I know that both of the above options are pretty expensive, I also saved it as a PDF, which you can download here from my Dropbox for free. It’s the exact same content and layout, but can only be read digitally. I still think it’s an improvement over reading the blog online, because you don’t have to wait for anything to load, and it’s all organized in chronological order (instead of backwards). I’m not trying to make money with this, so the prices mentioned above are just what Lulu charges for printing. Don’t feel like you should buy the book to support me or anything, and feel free to download the PDF instead. (I also enabled full previews for both books, so you can browse before/instead of buying.) I wrote this blog largely for myself, and the printing was certainly driven by my own desire to have a hard copy. Someone said “Life is what happens when you’re busy making other plans”. I never understood that quote because I was too busy making plans. But my first trips to China introduced me to the joy and surprises that await when you allow yourself to be flexible with details of a trip – things like the destination, arrival time, mode of transportation, etc. When you’re “adventuring towards” someplace, it’s okay if you end up delayed somewhere or even going backwards along your route, because it’s all part of the adventure. Every day during the year I studied abroad at Xiamen University – itself a detour along the path I thought my life would take – I recorded where my adventures took me, and those stories became this book. We should be able to make invent-tures in every adventure in life. A long time ago I hated my birthday. It was the one day I could ask for things I couldn’t ask for on any other day, so I would plan out everything I wanted and was determined to get it. In reality, very little of that plan ever worked out the way I expected and I ended up being miserable rather than enjoying time with my friends. Now I just ask people to show up and we figure things out as we go, because too much planning without any room for error is just a plan for disaster. When you’re doing anything of value, you obviously want it to go well. Just make sure your plans leave room for uncertainty and only focus on what’s truly important, or you’re pretty much asking for disappointment. I may be enjoying the longest summer ever (four-and-a-half months!) but that does not mean my days have been completely void of intellectual value. I have taken advantage of the down time to resume my Chinese studies (which had definitely taken a back seat to graduating for most of senior year). It took me 9 hours, but I did all of the reading flashcards that had piled up in that time, and am making slow [painful] progress on the writing reviews. One thing that enabled me to do all that reviewing (and that I’m hoping will help me maintain it when I get to graduate school) is my new phone. I bought my brother’s old HTC Evo, a super slick Android phone, and immediately installed AnkiDroid on it. It’s a mobile app of Anki, the Spaced Repetition flashcard program that I use on my computer (and that I wrote about here). With my flashcards always on me (and no games installed on my phone, purposefully! ), I made quick progress and have been able to keep it up. The two programs sync almost effortlessly, and generally just make my life easier. 5. Value: You can’t beat the cost ($1-ish) – except for free, I suppose, but illegal downloads don’t come in disc form, and I like to have the option to watch things on TV. 3. Entertainment Density: 4 seasons of Psych on 4 DVDs? Yes, please. I carry all of my movies and TV shows around in a large CD organizer, and I don’t have room for 16-CD sets. Go ahead and compress that data, make my day. 2. Region-free: A huge drawback of buying DVDs in other countries is that they may be locked to play only on DVD players of a certain region. Some of the more expensive (possibly even legal?!) DVDs that I bought in China only play on my laptop, not on our TV. Sketchy ones don’t have this problem. 1. Chinese content: My copy of Hero is in the original Mandarin; my copy of Monk has Chinese subtitles available. No better way to justify watching! I’ve roped my parents into watching a few of the movies with me – Hero, Crouching Tiger Hidden Dragon, The Message – in Chinese with English subtitles. I’ve watched some of them again, with Chinese subtitles, so that I could learn the new words. I highly recommend The Message and Hero!! They’re both very good movies, although the Chinese in Hero is very formal and difficult for me to understand (not that this is a problem for the subtitle-reading set). So yes, movies have been part of my studies. If it seems too good to be true – watching TV instead of studying – that’s probably because it is. It turns out to be kind of hard work . . . Frequent pausing, writing down unfamiliar words, looking up unknown characters, etc. This sort of movie watching is to the normal entertainment variety as driving a car is to being a passenger. TV/movie watching: In addition to vocabulary and listening practice, watching popular media would give students things to talk about with Chinese people! Websites would also be good. Getting mad: We only learned pleasant words in class; I’m not saying that we should have studied profanity or anything, but I wish I had been able to convince that woman at the Entry Exit office with my words instead of just by bursting into tears. Reading handwriting: Chinese handwriting – not to mention calligraphy – adds another level of complexity on to reading, which isn’t exactly easy to start with. I literally had to have XuLei help me read some of my birthday cards, and had no idea what we were doing in Shanghai because Mangu wrote our itinerary by hand. I don’t even know how I caught the plane! Writing like a Chinese person: My nicest Chinese handwriting looks like a 2nd grader, but when I attempt to imitate their “sloppy-looking” handwriting, it just looks . . . well, sloppy. I want to be able to write without everyone knowing I’m a foreigner! "Spelling" characters: Because of all those darn homonyms, it’s sometimes difficult to tell which character a speaker is using. So there’s a way of “spelling” the characters by describing them. I did this with friends before I knew that actual Chinese people do it, but it turns out that there’s a relatively standard way of doing it. I know a few terms (which never fail to surprise and impress when I use them!) but I definitely once had to find a different hotel because I didn’t know how to “spell” the name of the street that it was on. Well, enough of this – back to studying! The last half of The Message isn’t going to watch itself! It’s been over a year since I’ve been back from China. It was a great year, but there are some things that I miss from China: night trains, the ability to download anything for free, having nothing better to do than go dancing . . . and fruit. I discovered pomelos when my roommate brought one home and told me it was “delicious” (because she didn’t know what it was called). And it is delicious. It tastes like an orange, but with a mellower, less citrusy flavor. The texture and appearance are like a grapefruit, although the pomelo is even bigger. Remember to ask the fruit seller to slice it open for you when you buy it, because the skin is quite thick. It’s spongy and peels off pretty easily once you get it going, then you have to peel the individual segments. The membrane is more bitter than oranges, but it comes off in big pieces so take the time to get the fruit all the way down to the pulp before eating. I saw this fruit in the market for a long time before figuring out what it was. 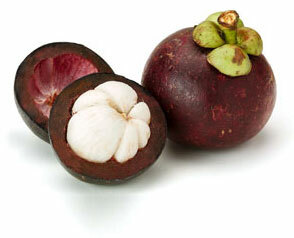 It’s called Mangosteen, or “the Queen of Fruit”. That’s quite a name! I tried it only once (as it was pretty expensive) and it is super delicious. The thick purple rind has the texture of rotten wood, but removes easily to reveal perfectly white flesh. The meat is very soft and almost too sweet. Definitely worth a try. I fell in love with the apple pear in China’s Northeast, making it the only non-tropical fruit on this list, I believe. The name says it all – it’s a hybrid between the apple and the pear, retaining what I believe are the best attributes of both. It’s as sweet as an apple but has the soft texture of a pear. I don’t like the taste of pears but apples hurt my teeth, so they’re pretty much a Godsend. Eat it like an apple . . . or a pear! I first had a wax apple in Taiwan, when I was perusing a street market with friends and they got me a sampling of local fruit. The flesh is vaguely pear-like, but the taste is delightfully sweet. I was instantly infatuated. I couldn’t figure out the name, so I called it “the Magically Delicious Fruit” until I finally googled “pink taiwan fruit” or something. I had them a few times in China as well and they were never quite as good, making me believe they have an optimal freshness or something. You just wash them off and bite in! I had a custard apple one time when Katrine decided to try something new at the Baicheng fruit market and picked this one. I don’t quite remember what it tasted like, but I do remember that we all agreed on its deliciousness. Unfortunately, it was really expensive (and I think that was Euro-expensive, not yuan-expensive, which means it must have cost a LOT) so I never had it again. The internets say that it tastes like “a combination of banana, pineapple and strawberry”, “a bit like the smell of a milky soap”, and “a mesh of pineapples and bananas with a delicious vanilla overtone”. I don’t know, but I remember it being some kind of delicious. Starfruit is, in my opinion, more beautiful than tasty, but it’s pretty good. Depending on the fruit, it has a sweet/sour taste. It slices into perfect stars, though, making it the darling of fruit platters across the tropics. Dragonfruit is the most flamboyant food that I’ve ever seen; it’s like a kiwi Drama Queen. The flesh inside tastes like a kiwi, only milder (I know, right? ), and you eat it by slicing it in half and scooping the meat out with a spoon. 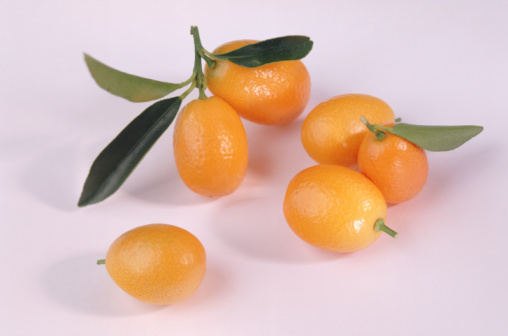 Loquats were my least favorite of the fruits that I was introduced to last year (hence, #10). 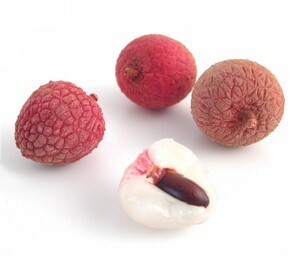 Their skin is slightly fuzzy like a peach, but they’re about the size of limes or smaller. The flesh is sweet, but the MULTIPLE HUGE SEEDS in the middle were kind of a turn-off for me, I guess.